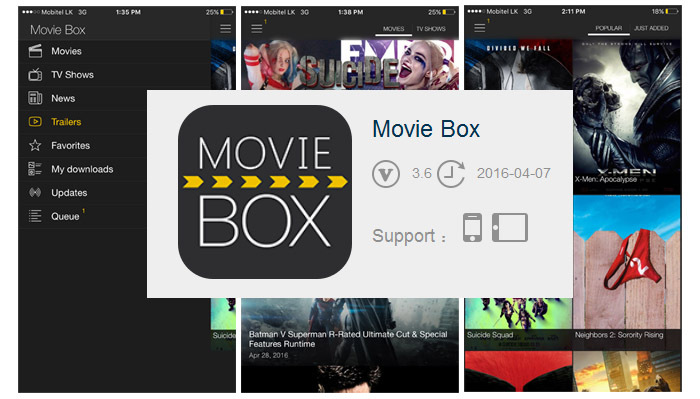 MovieBox has been updated to version 3.6 with new features & improvements. 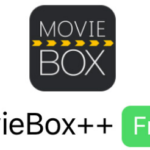 Now you can download & install updated version of Movie Box app with & without jailbreak your device. 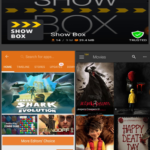 Are you new to MovieBox app ? 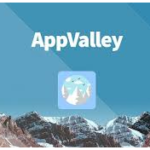 This is must have & best ever video app for your device. You can download / watch tones of Movies, TV-shows from Movie Box for free directly with your iOS device. The new version update, MovieBox 3.6 now available in the dtathemes repo as well as vShare market. 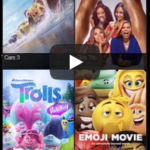 Jailbroken user can download & install Movie Box 3.6 with Cydia app store. 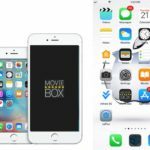 Download Movie Box for jailbroken devices – Click here..
How to download Movie Box without jailbreak – Click here..
What’s new in MovieBox 3.6 ? There is a few things you need to know about this version. “Favorites” section – If the user has looked 3 series of the TV-Show, it will automatically be added to your favorites. 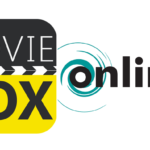 Movie Box released version 3.6.6 – How to download ? How to download & install Movie Box on iOS 9.2.1 ? Awesome page, Keep up the great work. Regards!.